Celbi is using Smore newsletters to spread the word online. All humans and animals need water to survive. A large percentage of Earth is made up of water. For example salt water makes up about 97% of all water on Earth and can not be used to drink because, its salt content is harmful to humans. However humans can drink freshwater. Freshwater makes up about 2% of the Earth’s water. Most of Earth’s freshwater is in glaciers and icecaps. Of the freshwater that isn’t frozen it is used for growing crops, industrial purposes, and household use. Although Earth’s freshwater is being contaminated or overused, water sources are being polluted by human waste and other harmful chemicals. People are also burning fossil fuels and other gases. These gases let of CO2 into the atmosphere and causes the greenhouse effect. When this happens it causes global warming. Global warming causes weather extremes like long drought and drying up natural freshwater resources. In addition to water sources being contaminate and overused because people are fighting over control of water sources to survive. As you can see water is a necessity that drives the world economy. According to Stuart A. Kallen “The availability to the control of freshwater supplies are issues posed to define life in the 21st century.” Water is needed for humans and animals to survive on Earth. 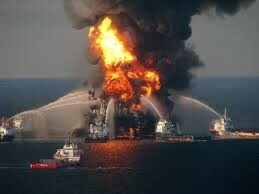 In 2010 there was an oil spill in the Gulf of Mexico (BP). The BP oil spill was the biggest spill in History. There was 200 million gallons of crude oil being leaked into the Gulf of Mexico. The Oil that exploded from the rig leaked for over 87 days straight. Over 16,000 miles of coastlines were effected by the blow. The coastlines that were affected include, Florida, Alabama, Mississippi, Louisiana, and Texas. 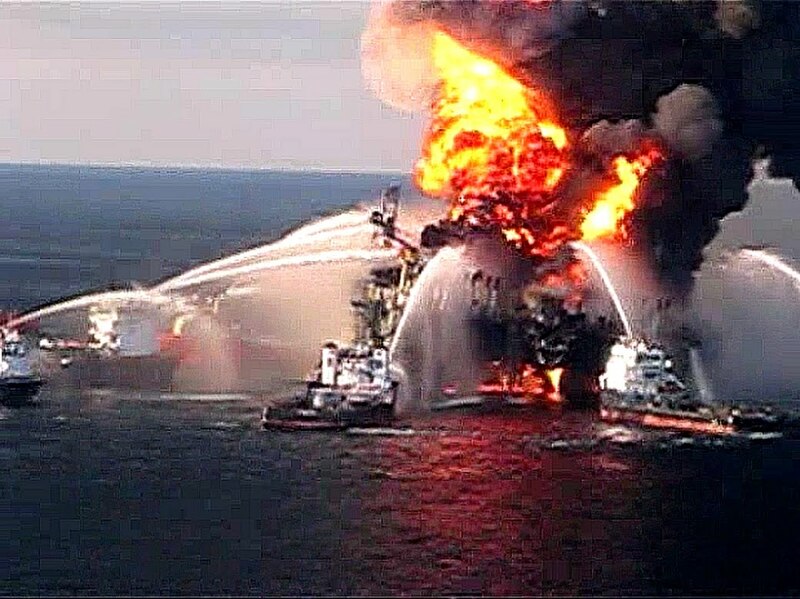 There were several causes of the oil spill in the Gulf. The cement that they had poured at the bottom of the borehole didn't stay. Gas was pumped through pipes and mixed with the oil. When this happened it increased pressure in the well. When the people working took test the test results were misread. When they were sealing the borehole it wasn't sealed correctly. When this happened flammable gas coved the rigs floors. An effect to that was an alarm was supposed to go off letting workers know to evacuate and the alarm didn't trigger. There were many negative consequences of the oil spill. 8,000 animals were reported dead just 6 months after the spill. Another effect of the trigger not sounding, the explosion killed 11 people and injured 17 others. With all the oil in the waters fishing was prohibited, causing fisherman not to be able to get seafood for restaurants. Restaurants then couldn't serve seafood to their costumers. The restaurants didn't get the money that they would normally earn cutting down pay checks of the workers. 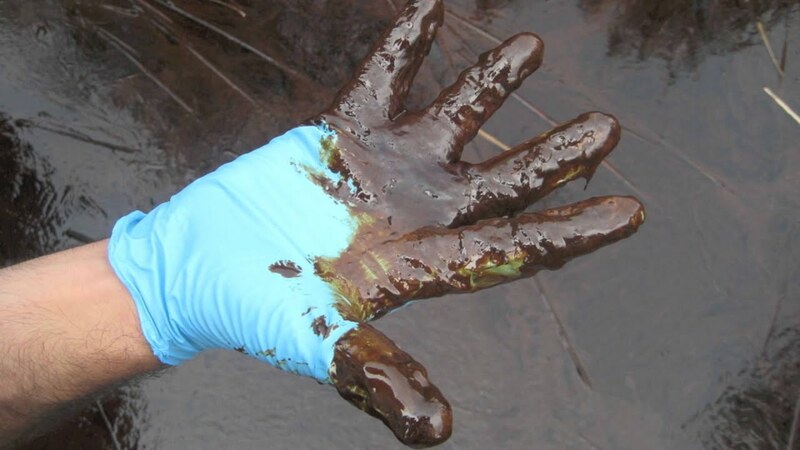 Solutions for Stopping the Oil Spills. Many people responded to a call for help. 5.5 million feet of boom was placed into the water to collect and absorb the oil. The barrier had 400 miles of coastline to help clean up. Over 30,000 people responded to help by taking care of animals and to clean up coastlines. 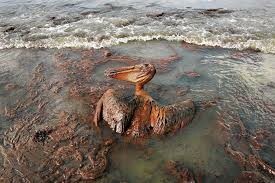 The negative effect of the oil spill effected human and animals and those effects are still shown today. As of 2012, the Gulf was still polluted with oil. In figure 1 you can see the effect of the oil spill on the animals. This bird is covered in oil that came from the rig that exploded in 2010. In figure 2 you can see that this is when the rig exploded. Fire boats rush to help get the fire put out.